At 11:08 on July 31, 1973, a Delta Airlines DC-9 crashed into the seawall at Logan Airport while attempting to land, just short of the runway. 89 people tragically lost their lives. 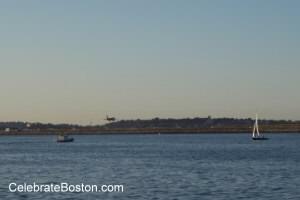 The accident remains a memory for many Bostonians because of the hope at that time someone would survive the crash. There were initially two survivors. One person lived for about two hours. A second person, Leopold Chouinard, with terrible burns and traumatic injuries, clung to life for four months, and died on December 11, 1973. Many Bostonians had hoped and prayed for this person to survive. The passing of the final survivor of Flight 723 was a very somber event. At the time, the accident added to local concerns about the growth in air traffic. A huge fog bank enveloped Logan Airport on the day of the crash. Flight 723 was on an instrument landing approach. The crew was briefly distracted by an onboard instrument and an air traffic control instruction, and the plane flew right into the seawall in front of the runway. A plane on final approach behind Flight 723, unaware that Flight 723 had even crashed, aborted the landing due to weather, and later reported zero visibility at 216 feet. The air traffic control tower was actually unaware of the accident for several minutes due to the poor visibility. The crash was extremely sad. The event may never have happened if not for an extra second or two, or with very few additional feet in altitude. 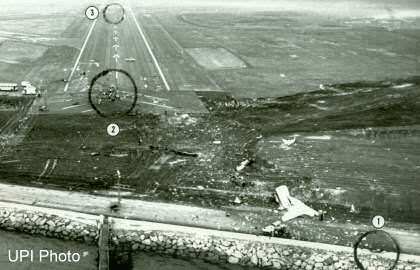 Some of the good results of the Flight 723 crash were recommendations on runway approach lighting systems, changes to a flight instrument, and a pilot advisory that electronic landing conditions may not match actual conditions near a touchdown point. At the time, the accident added to local concerns about the growth in air traffic. Films such as Airport, Alive, and Skyjack, convey some of the public uneasiness about air travel in the early 1970s.